Soft Computing differs from conventional (hard) computing in that, unlike hard computing, it is tolerant of imprecision, uncertainty, partial truth, and approximation. In effect, the role model for soft computing is the human mind. Principal constituents of Soft Computing are Neural Networks, Fuzzy Logic, Evolutionary Computation, Swarm Intelligence and Bayesian Networks. Unlike hard computing schemes, which strive for exactness and full truth, soft computing techniques exploit the given tolerance of imprecision, partial truth, and uncertainty for a particular problem. Another common contrast comes from the observation that inductive reasoning plays a larger role in soft computing than in hard computing. 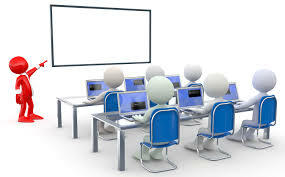 Components of soft computing include: Neural Network, Perceptron, Fuzzy Systems, Baysian Network, Swarm Intelligence and Evolutionary Computation. - Knowledge is acquired by the network through a learning process. 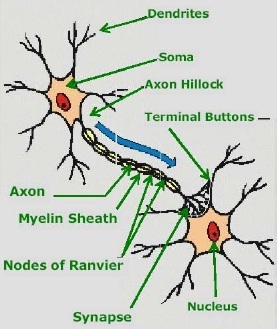 A neuron is composed of nucleus- a cell body known as soma. Attached to the soma are long irregularly shaped filaments called dendrites. The dendrites behave as input channels, all inputs from other neurons arrive through dendrites.